Today is Good Friday which is still recognized in the post-Christian West as a memorial and celebration of the Easter Friday that Jesus Christ willingly gave His life on the Cross, as the Passover Lamb, to vicariously pay our penalty, owed to God the Father, for our sins. He gave His life so that those who accept His once-only-forever-never-to-be-repeated sacrifice, by trusting in Him, as Lord and Saviour, might be redeemed to the Father, whose justice is served, who then cannot even see our sin. We are washed clean in the blood of the Lamb. This covenant was sealed and perfected in Christ’s resurrection, which is celebrated on Sunday. 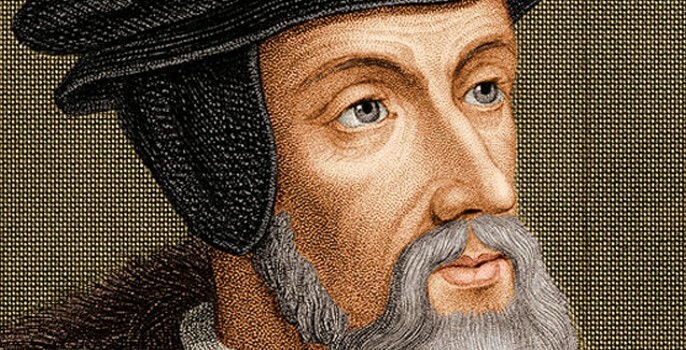 The following is a summary of what John Calvin wrote on the matter. 2. None of the ancient philosophers, except Plato, acknowledge the chief good of man to consist in his union with God. But of the nature of this union, Plato had not the smallest idea. We know what is the only and perfect happiness even in this earthly pilgrimage; but it daily inflames our hearts with increasing desires after it, till we shall be with its full fruition—the resurrection. 3. Let the importance of the object sharpen our pursuit. Paul argues, that if there be no resurrection of the dead, the whole Gospel is vain and fallacious; for we should be “of all men most miserable” (1 Corinthians 15:13-19). To this subject, the most important of all, let us give attention never to be wearied by the length of time. It is a thing difficult to be believed, that bodies, after having been consumed by corruption, shall at length be raised again. Therefore, while many philosophers asserted the immortality of the soul, the resurrection of the body was admitted by few. To enable faith to surmount so great an obstacle, the Scripture supplies us with two assistance: one consists in the similitude of Christ, the other in the omnipotence of God. Christ is the pledge of future resurrection to us; for He neither fell under the power of death, nor triumphed over it in His resurrection, for Himself as a private individual; but that all this was a commencement in the Head of what must be fulfilled in all the members. Now, that we may have no doubt of our fellowship with Christ in the resurrection, Paul affirms the design of His advent in the character of Judge at the last day, is to “change our vile body, that it may be fashioned like unto his glorious body” (Philippians 3:21). Indeed, Christ rose again, that we may be companions of His future life. He was raised by the Father, inasmuch as He was the Head of the Church. He was raised by the power of the Holy Spirit, who is given to us for the purpose of quickening us. In a word, He was raised that He might be “the resurrection, and the life” (John 11:25). We must not be wearied by the long delay before His return, but wait patiently for God’s establishment of His Kingdom in His appointed time. To this purpose is the expression of Paul: “Christ the firstfruits; afterward they that are Christ’s at his coming” (1 Corinthians 15:23). Scorners of the resurrection might ridicule the evangelists’ account of the message, brought by some frightful women, and afterwards confirmed by the disciples half dead with fear. Why does not Christ rather prove Himself by appearing in the temple and the public places that all might see? Insofar as we are concerned, we rest assured in the eyewitness accounts of His disciples, but we have also the witness of the soldiers and of the angels. Moreover, Christ allowed Himself to be handled, and spent time discoursing with His disciples concerning mysteries of the Kingdom of God. Finally, they gathered to see Him off in the Ascension, and “he was seen of above five hundred brethren at once” (1 Corinthians 15:6). He appeared also to Paul on the Damascus road (Acts 9:3), and to Stephen to overcome the fear of death by an assurance of life (Acts 7:55). To refuse credit to testimonies so numerous, is unreasonable obstinacy. 4. Against the stupidity of unbelief, Paul adduces an example from nature, “Thou fool, that which thou sowest is not quickened, except it die” (1 Corinthians 15:36). He tells us that the seed sown displays an image of the resurrection. Even Isaiah exclaims, “Thy dead men shall live, together with my dead body shall they arise. Awake and sing, ye that dwell in dust” (Isaiah 26:19). Job says, “I know that my redeemer liveth, and that he shall stand at the latter day upon the earth: And though after my skin worms destroy this body, yet in my flesh shall I see God: Whom I shall see for myself, . . . and not another” (Job 19:25-27). Ezekiel saw a field full of dry bones, which God commanded to be clothed with flesh and nerves (Ezekiel 37:1-14). Though this figure is intended to inspire the people with a hope of restoration, he borrows the argument for it from the resurrection. This is to us also the principal model of all deliverances which believers experience in the world. So Christ, after having declared that the voice of the Gospel communicates life, immediately adds, “Marvel not at this: for the hour is coming, in the which all that are in the graves shall hear his voice, And shall come forth” (John 5:28, 29). 5. “A living dog is better than a dead lion” (Ecclesiastes 9:4) is a common saying Solomon has quoted from a world, that makes death the destruction of man and the end of all things. This brutish stupidity has infected all ages of the world, and even forced its way into the Church. The Sadducees had the audacity publicly to profess, that there is no resurrection. But the very instinct of nature has always set before the eyes of unbelievers an image of the resurrection, by interring the dead, even from the ancient days of the holy fathers. After Paul, there arose Millenarians, who limited the reign of Christ to a thousand years. The Revelation passage (Revelations 20:4), they quote, refers not to the eternal blessedness of the Church, but to the various agitations which awaited the Church in its militant state upon earth. Revelations 20:4,5 And I saw thrones, and they sat upon them, and judgment was given unto them: and I saw the souls of them that were beheaded for the witness of Jesus, and for the word of God, and which had not worshiped the beast, neither his image, neither had received his mark upon their foreheads, or in their hands; and they lived and reigned with Christ a thousand years. 5 But the rest of the dead lived not again until the thousand years were finished. This is the first resurrection. When sin is abolished, and death swallowed up, then will begin the eternal state of everlasting rewards and punishments. 6. In regard to the future, two other errors are introduced. Some have supposed that the whole man dies, and that souls are raised together with bodies. Others, admitting the immortality of souls, supposed they will be clothed with new bodies, and thereby deny the resurrection of the flesh. It is a brutish error to represent the spirit, formed after the image of God, as a fleeting breath which animates the body only during this perishable life. If souls separated from bodies did not retain their existence, Christ would not have said to the thief, “To day shalt thou be with me in paradise” (Luke 23:43). The question respecting place is equally senseless and futile; because we know the soul has no dimensions like the body. Let us be content within these limits which God prescribes to us—that the souls of pious men depart into a state of blessed rest, till Christ appears as the Redeemer. The condition of the reprobate is the same as Jude assigns to devils, who are bound in chains till they are brought forth to the punishment to which they are doomed (Jude 6). 7. Equally monstrous is the error, that souls will not resume the bodies which at present belong to them, but will be furnished with others altogether different. This is based on the Manichaeans, who taught that flesh which is so impure would never rise again. When Paul gives us this exhortation, “Glorify God in your body, and in your spirit, which are God’s” (1 Corinthians 6:20), he certainly does not countenance consigning to eternal corruption, that which he asserts to be consecrated to God. Christ rose; was it by making Himself a new body? No, but according to his prediction, “Destroy this temple, and in three days I will raise it up” (John 2:19). Immediately on Christ’s resurrection, “the graves were opened; and many bodies of the saints which slept arose” (Matthew 27:52). This was a prelude, or rather an earnest, of the final resurrection. Enoch and Elias, whom Tertullian speaks of as “the candidates of the resurrection” were taken into the immediate care of God, with an entire exemption from corruption in body and soul. 8. Baptism is spoken of by Paul as a seal of our future resurrection (Colossians 2:12), and we are clearly invited to this confidence by the sacred Supper, when we receive into our mouths the symbols of spiritual grace. Paul’s exhortation, to “yield . . . your members as instruments of righteousness unto God” (Romans 6:13), would lose all force, if unaccompanied by what he subjoins, “He that raised up Christ from the dead shall also quicken your mortal bodies” (Romans 8:11). For what would it avail to devote our feet, hands, eyes, and tongues to the service of God, if they were not to participate the benefit and reward? This is confirmed by another passage of Paul, “The body is not for fornication, but for the Lord; and the Lord for the body. And God hath both raised up the Lord, and will also raise up us by his own power” (1 Corinthians 6:13,14). Hence also that exaltation, “We look for the Saviour [from heaven], … Who shall change our vile body, that it may be fashioned like unto his glorious body” (Philippians 3:20,21). The burial by Abraham, of his wife, demonstrates his hope of the resurrection (Genesis 23:3-19). An example of this hope is in Jacob, who commands his bones to be reconveyed to the promised land (Genesis 47:30). The resurrection of the body is implied in the word “sleeping.” Hence the word cemetery, which means a sleeping place for the body, a place of burial, in hope of the resurrection. There is a difference between those who shall have been already dead, and those whom that day shall find alive. “We shall not all sleep,” says Paul, “but we shall all be changed” (1 Corinthians 15:51); that is, there will be no necessity for any distance of time to intervene between death and the commencement of the next life. Where the state of the nature is changed, it is a species of death. So there is a perfect consistence between these things, that all will be removed by death when they put off the mortal body, but that a separation of body and soul will not be necessary, where there will be an instantaneous change. 9. A question of greater difficulty arises: How can the resurrection, which is a peculiar benefit of Christ, be common to the impious? Is Christ to bestow life promiscuously to all mankind? As God “maketh his sun to rise on the evil and on the good” (Matthew 5:45), so resurrection is extended to the impious; not to become their legitimate possession, but to render them more inexcusable. The impious frequently experience God’s beneficence, which sometimes exceed the blessings of the pious, but which are the means of aggravating their condemnation. When Paul has stated to Felix, “that there shall be a resurrection of the dead, both of the just and unjust” (Acts 24:15); one will be a resurrection to the life, the other to judgment. The impious will be raised, in order to be dragged to the tribunal of Christ, to receive the punishment due to their rebellion. 10. As “death is swallowed up in victory” (1 Corinthians 15:54), then, let us rather reflect on eternal felicity [blessing] as the end of the resurrection. There is not only the promise of eternal life generally to believers, but also a special reward for each individual. 11. There are vain men, thirsting after useless knowledge, that inquire what will be the distance between prophets and Apostles, Apostles and martyrs; and how many degrees of difference will there be between the married and the celibate, etc. For myself, I not only refrain as an individual from the unnecessary investigation, but think it my duty to be cautious. I reply, there will be such great pleasantness in the very prospect, and such exquisite sweetness in the mere knowledge, that this felicity will far exceed all the accommodations afforded us in the present state. As to inquiry into that future state of bliss, the best rule for our conduct is to content ourselves with seeing “through a glass darkly,” till we shall see “face to face” (1 Corinthians 13:12). 12. Now, as no description can equal the severity of the Divine vengeance on the reprobate, their torments are represented to us under corporeal images; as darkness, weeping and gnashing of teeth, unextinguishable fire, a worm incessantly gnawing the heart (Matthew 3:12; 8:12; 22:13; Mark 9:43, 44; Isaiah 66:24). It is, therefore, no trivial threatening denounced by the Apostle, that unbelievers “shall be punished with everlasting destruction from the presence of the Lord, and from the glory of his power” (2 Thessalonians 1:9). How great and severe, then, is the punishment to endure the never ceasing effects of His wrath! An Abridgement of Calvin’s Institutes of the Christian Religion: Book I-IV, Editor: Timothy Tow, Far Eastern Bible College Press, Singapore, pp. 324-328, 1997. My emphases added. KJB used throughout. This entry was posted in Belief in God, Biblical doctrines and tagged Easter, Good Friday, Jesus Christ, John Calvin, John Hartnett, resurrection. Bookmark the permalink. WE HAVE NO DOUBT THAT CHRIST DIED FOR US!!! !